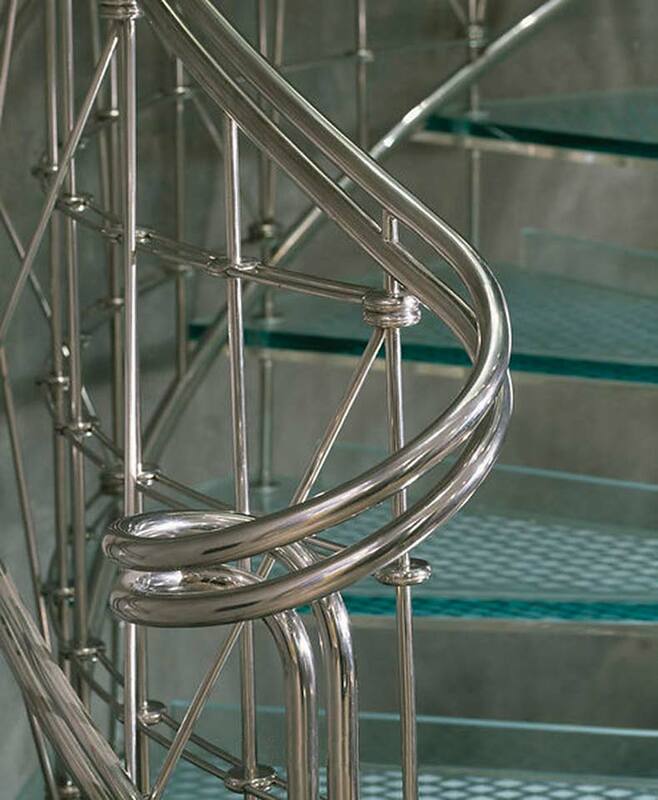 Glass and steel spiral staircase, the centrepiece of the contemporary treatment of the lower half of a Victorian terraced house, for an art collector client. The staircase links three floors and brings light down from upper floor to ground floor and basement. 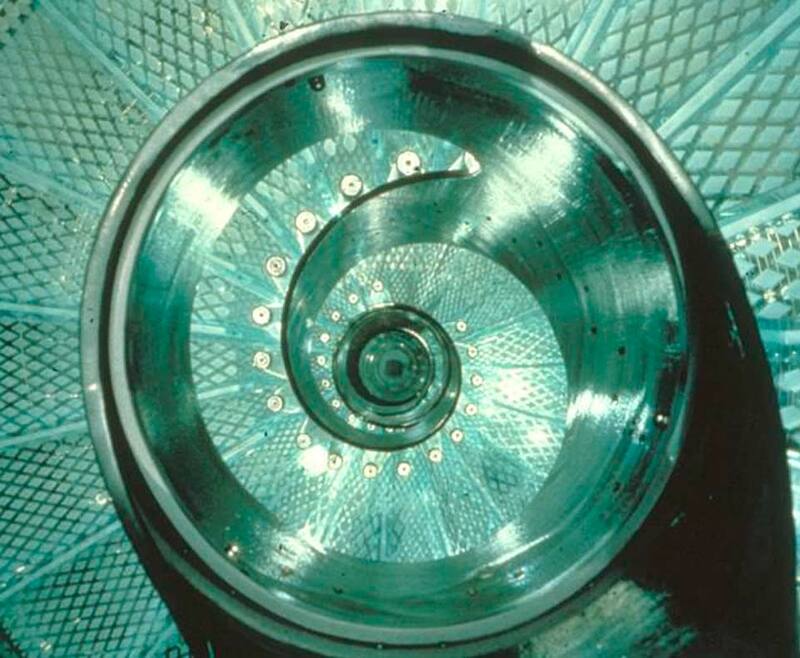 The glass staircases used a 22mm monolithic sheet of annealed glass coupled with a 15mm clear acrylic sheet which was set below the glass sheet but not bonded to it. If the glass cracked the acrylic sheet would continue to support the broken glass and the imposed load. The glass was sandblasted to provide a non-slip surface and to diffuse the light.